Cindy Jialin is an excellent marketing professional focused on solar parking lot lights and similar products. One aspect of switching to solar lighting that’s always of unease for new solar adopters is the type of battery used to power the light. Many of our customers want to get specific benefits out of the battery while prolonging the battery life and remaining “green friendly.” There’s also questions of maintenance required, physical battery profile, average charging cycles, and overall cost per watt. Some of the tech jargon can get a little confusing, but it’s important to remember all batteries are not created equal. 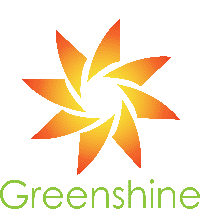 Here’s some information below which goes into detail why Greenshine uses some batteries for outdoor solar lights over others. We’ve saved the best for last. NiCd (Nickel Cadmium) batteries are likely one of the worst battery choices on the market for use in solar lights. There’s debate in the “battery community” about what’s called the “memory effect” with NiCd–these kinds of batteries are meant to be charged fully and depleted fully. That isn’t what happens often with batteries meant for outdoor solar lights, where there’s a constant charge-discharge with the cycles of day and night. The memory effect alters the battery’s voltage levels to shrink over time, where the battery “forgets” the highs and lows it doesn’t often charge to. Plus, cadmium is a highly toxic metal which defeats one of the purposes of solar lights–to reduce the environmental impact that the use of energy may have. We know most project managers just prefer something that saves money over time, but why not go both routes? NiMH (Nickel Metal-Hydride) technology is a better choice over NiCd batteries when it comes to the environment, but there are still some pain points with this selection. A NiMH battery still requires a full discharge from time to time, which isn’t friendly to maintenance requirements–we’re sure someone doesn’t want to get the task of discharging every battery in a parking lot light configuration. Plus, these batteries tend to generate heat! Not a side-effect desired in the middle of a park on a hot summer day. Skip NiMH for better solutions. Think again. Li-Ion (Lithium Ion) batteries, most commonly found in small electronics like cell phones, are actually more dangerous for applications like outdoor solar lights because they need a protection circuit. We doubt park management would desire large hazards to power their public lights. Plus, the battery size required for solar light applications aren’t wallet-friendly! They’re costly to manufacture, which defeats the purpose of solar–not much of a point to switching to inexpensive solar if the battery is expensive. How Does Lithium Polymer Fare? Lithium Polymer batteries are best used in small electronics like their Li-Ion brethren. They’re often mass-produced for cost and are advantageous in small spaces, like the back of a cell phone. However, they have low energy density and a decreased cycle count, prompting more purchases over time. Plus, with a steep price tag for manufacturing, the cost over time to replace batteries doesn’t justify their use for solar. And a Lead Acid Deep Cycle Gel Battery? Last on our list, the lead acid battery is actually best for solar! Here’s why: they’re incredibly cheap for their cost-per-watt hours which reduces the price for solar power significantly. Lead acid is a well-understood, reliable technology that requires very low maintenance. Plus, it has a very low self-discharge rate and it works best with partial discharges, not full ones. We’ve done the research and know the best batteries for the job–a lead acid gel battery charging is best out of all these batteries for outdoor solar lights. It’s cost-effective, doesn’t require much maintenance, doesn’t need a discharge, and almost has a set-it-and-forget-it technology. It’s just a part of why Greenshine New Energy is proud to be a leader in solar technology. We’ve done the homework; we just need your approval to move forward. Contact us to learn more.